The omission of the Local Government Finance Bill from the Queen’s Speech has left the sector asking major questions over the funding of councils beyond 2020. The bill was to have paved the way for a revolutionary change in how local government is funded, abolishing revenue support grant and allowing the sector to retain 100% of the business rates pot by the end of the decade. But the urgent clamour for certainty over what the future holds, in evidence at the Local Government Association conference earlier this month, does not so far appear to be shared by ministers: the topic was notable by its absence from the communities secretary’s conference speech. Without the bill current funding arrangements could just roll on; indeed from the government’s perspective the policy was always intended to be fiscally neutral with any new money available to the sector due to come with additional responsibilities. However, eight years into austerity, local government has other ideas about the additional funding. The LGA and others have argued the first call on the additional £13bn that would have become available to local government should be unfunded pressures. LGA chair Lord Porter (Con) has said the organisation will continue to push for the full localisation of business rates and there are hopes much can be done through secondary legislation. Local government minister Marcus Jones has said progress will continue even without the bill. Experts have told LGC allowing the sector to keep hold of 100% of business rates and abolishing revenue support grant could be done by setting the central share and RSG to zero in the annual local government finance report, the document that sets council funding. Some of the other changes deemed to be required to make a fair and workable system could also be done through other means. The sector’s biggest bugbear with the current system, in which 50% of business rates are retained, has been the potential for huge losses to appeals by firms who believe they are charged too much. This has required councils to set aside large amounts of cash. The bill was due to address this through the introduction of a system of loss payments, funded through a top-slice of the national pot. Such a system could not be introduced without primary legislation. 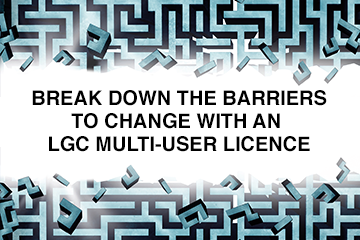 However, LGC has been told the same effect could be achieved using the existing system of grants under the Section 31 of the 2003 Local Government Act. This is already used to compensate councils for the granting of a range of reliefs such as those to small businesses. Paul McDermott, partner in the public sector group at the law firm Trowers & Hamlins, told LGC such changes would be possible through existing legislation but with the government’s fragile majority it could be challenging politically as MPs have to vote on the annual local government finance report. So perhaps the more pertinent question is not if it can be done, but whether the national politics will allow it. Tony Travers, director of LSE London, and chair of the London Finance Commission, believes the sector should continue to pursue the full localisation of business rates. However, he questioned whether, with Brexit dominating Whitehall and the Department for Communities & Local Government additionally stretched in the wake of the Grenfell Tower fire tragedy, the department has the capacity to implement such a complex new policy. He described the fair funding review, which was promised alongside the reforms and which is due to go ahead regardless, as looking “very perilous”. The review is likely to redistribute money around the system, resulting in winners and losers, which will be tricky to implement when the government has such a small majority. Sean Nolan, director of local government at the Chartered Institute for Public Finance & Accountancy, told LGC the sector should “continue the conversation” with government on the localisation of business rates. “The challenge for this government is not necessarily whether this can be done by primary legislation, it’s whether it can be done in a way that’s not too contentious. They could make it less contentious if they used part of the £13bn to help implement it,” he said. The sector is not committed to localisation of business rates at any cost. Geoff Winterbottom, principal research officer at the Special Interest Group of Municipal Authorities, said there “wouldn’t be any cries of war” from his members if 100% retention of business rates was dropped, provided the fair funding review went ahead. In the current tumultuous political climate it is not hard to imagine the Treasury and Number 10 reaching a similar conclusion, despite the commitment of ministers and officials at DCLG to the policy. The Local Authority Information Gateway was introduced in England in February 2017, and in Wales in June 2017. The absence of the Local Government Finance Bill from the parliamentary calendar has generated many column inches in LGC, and last month the debate took on another dimension with the announcement of the second round of business rate pilots. Three county areas have emerged as front-runners to pilot 100% business rates retention, despite concerns about how the revised system might work in two-tier areas. The 100% business rates retention pilots programme is to be expanded, despite a lack of legislation in the government’s agenda. Council reserves fell for the second year running in 2016-17, reducing by £1.1bn according to the latest figures from the Department for Communities & Local Government. Two months ago, many people were predicting a conservative government with a sizeable majority. Business secretary Greg Clark has indicated councils are to be given a formal role in delivering economic growth as part of the government’s industrial strategy. When Norfolk and Suffolk’s potential devolution deal collapsed late last year, Fiona McDiarmid admits members of council staff spent some time licking their wounds. The current system has several unsustainable elements. These include the application of mandatory reliefs before the proceeds are split - meaning that many areas currently retain something more like 35p in the £ not 50p. And then there is the relative overfunding of councils in London, which needs addressing whatever system emerges. Thanks to a generous resource base, Band D council tax in London is between a third and a half of what it is elsewhere in the country and the amount of money from central government per head significantly higher.